Highland single malt Glengoyne has announced a limited 30-year-old release, with only 6,000 bottles, taken from 13 casks, made available each year. The new expression is made up of a vatting of one-third first-fill European oak Sherry butts and two-thirds refill Sherry butts, all matured in Glengoyne’s traditional dunnage warehouses. 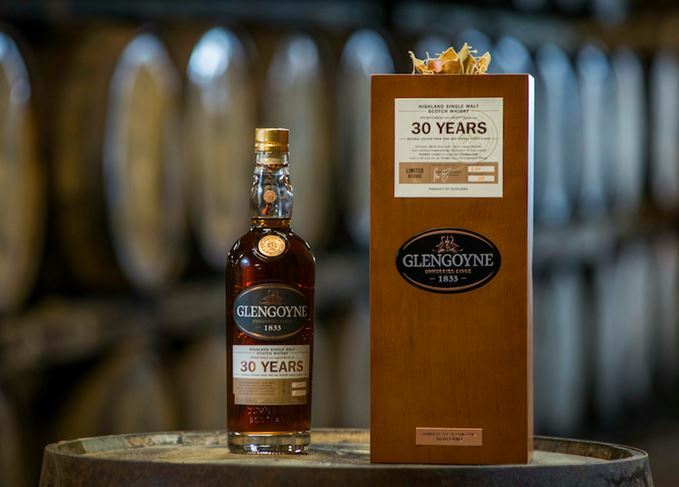 Bottled non-chill-filtered at 46.8% abv, Glengoyne 30 Year Old is priced at £600 a bottle, and comes in a solid oak box with rose gold bung and hessian square, designed to reflect the traditional cask sampling method used at the distillery. ‘The refill butts impart plenty of flavour and colour, but do not dominate or overpower our spirit with too much oak,’ said Robbie Hughes, Glengoyne distillery manager. The Highland distillery’s sixth Cask Strength release is 100% matured in ex-Sherry casks. Fewer than 6,000 bottles of the 30-year-old’s second edition have been released. The Highland distillery’s new range celebrates its influential people and history. The Sherried ‘firm favourite’ from Glengoyne distillery returns for a sixth outing.